I first started collecting the charms and headphone jack plugs about 10 years ago. I loved having charms dangling from my phone. I wish phones still included charm hooks. 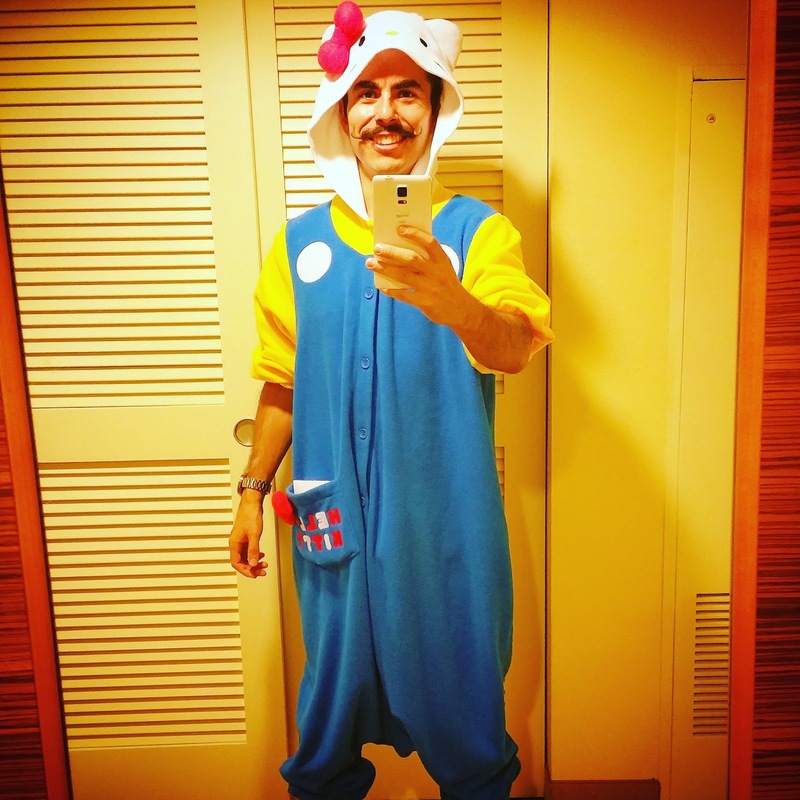 Then, I started seeing all the cool collaborations with Hello Kitty. I fell in love with the Street Fighter collab. I saw t-shirts with The Simpsons and HK. I love the cool collabs with Hello Kitty. I have a good amount of Hello Kitty and Tokidoki, which is my all time fave collaboration. My collection has grown quite quickly that I now purchase a lot more clothing like shirts, hoodies, shoes, and backpacks. I have over a hundred plushies, so I've slowed down my plushie purchases. Now, I started collecting Hello Kitty themes on my Samsung galaxy phones. Samsung has their own theme store on their phones with tons of HK themes. My navigation buttons, keyboard, dial pad and notifications are all HK themed. I have never really stopped, just slowed down or focused on things that I will actually use. Now that the Sanrio stores have collectible pins free with purchase-- I'm shopping at least once a month. I'll buy pens for work or note pads, umbrellas, and small items that I can store away. I am a hoarder. LOL. I store my old boxes of electronics and shoes. I don't mind being called a hoarder. I'm honest with myself and I'm working on cleaning out my collection. My Instagram account is dedicated mostly to my collections -- 99% of the photos are my collection. 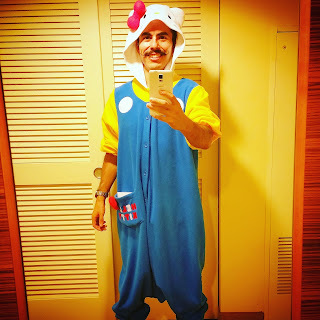 I feel happy when I wear my Hello Kitty swag. I would say that is my only benefit. 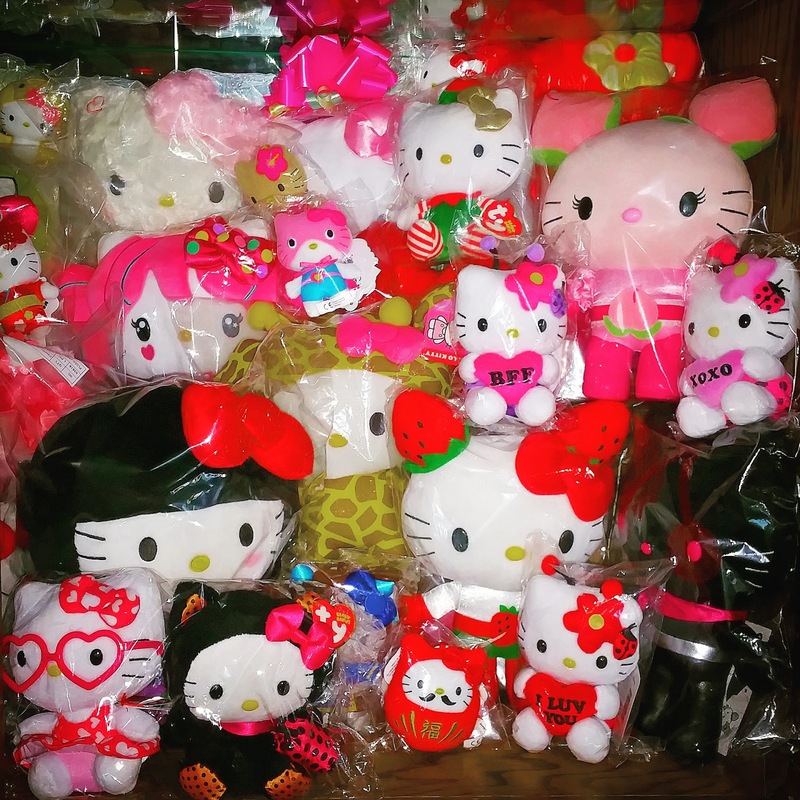 It is an extremely expensive habit, so I have learned to cut back on random purchases of Sanrio merchandise. I would say I'm very similar to most big Collectors. I may have a few unique pieces, but with the Amazon, eBay, and other online sites, it's pretty much an even playing field. 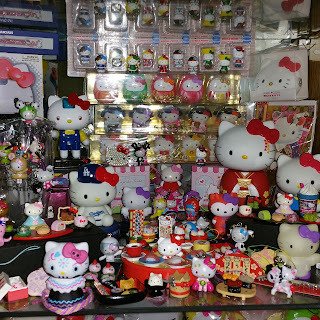 Though living in Southern California, I do have the advantage of having several Sanrio stores near me. I collect lots of small trinkets and figurines, pencils, pens, note pads, plushies. Though, I don't purchase as many as I used to. T-shirts, hoodies, sneakers, some purses, lots of backpacks, and umbrellas. I want to start collecting jewelry and watches. I love clothing-- that is my new passion. If I find an awesome t-shirt or hoodie, I buy it on the spot. My favorite piece is my Hello Kitty Ninja Turtle collab. I have all four Ninja turtles in the shape of Hello Kitty. There are 4 inch vinyls that I purchased on eBay. Also, I love my 12 inch Chucky horror movie. There is no special story. I just stumbled on them while searching eBay. I have an addictive personality-- so, yes. If I did not obsess over Hello Kitty, I would still be purchasing Action figures and comic books. I still purchase a lot of comic book merchandise, but not as much as I used to. I love collecting Nintendo video games. I have been collecting for about 10 years. 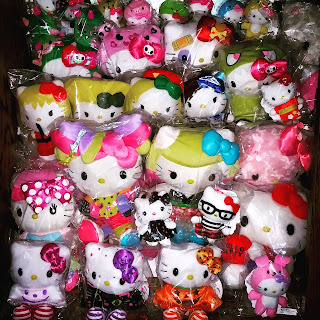 My advice would be to follow other Collectors on Instagram as well as Sanrio stores. Sanrio Arcadia ships anywhere in the USA. They carry a lot of Tokidoki collaborations. Make sure to get pieces that you truly love and learn to let go of items that you feel that don't have any type of value. 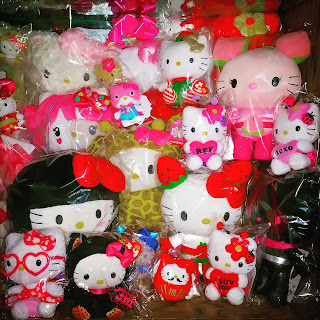 I'm a Hello Kitty Hoarder and Enthusiast. Everyone who knows me always remembers me for my Hello Kitty obsession. My bosses have even given me items as well as my co-workers and close friends. I don't let significant others gift me items because I would get rid of it if we broke up. I was working as a Samsung rep inside Best Buy when I had 2 customers insult me. My job was to focus on pushing Samsung products, but I loved the Best Buy team so I would lend a hand with all customers. I noticed there was a Mother and son who needed help with printers. I walked over and they asked the difference between two models. I brought out my phone, which my screen and icons have always been HK themed. I could hear them laughing and mocking me for having it and being gay. I turned around and just told them that they now had to wait for a Best Buy rep to free up and help them because I was no longer gonna go out of my way to assist them. Also, I went on the walkie and let all the reps know about the situation. No one helped them. They ended up walking out. 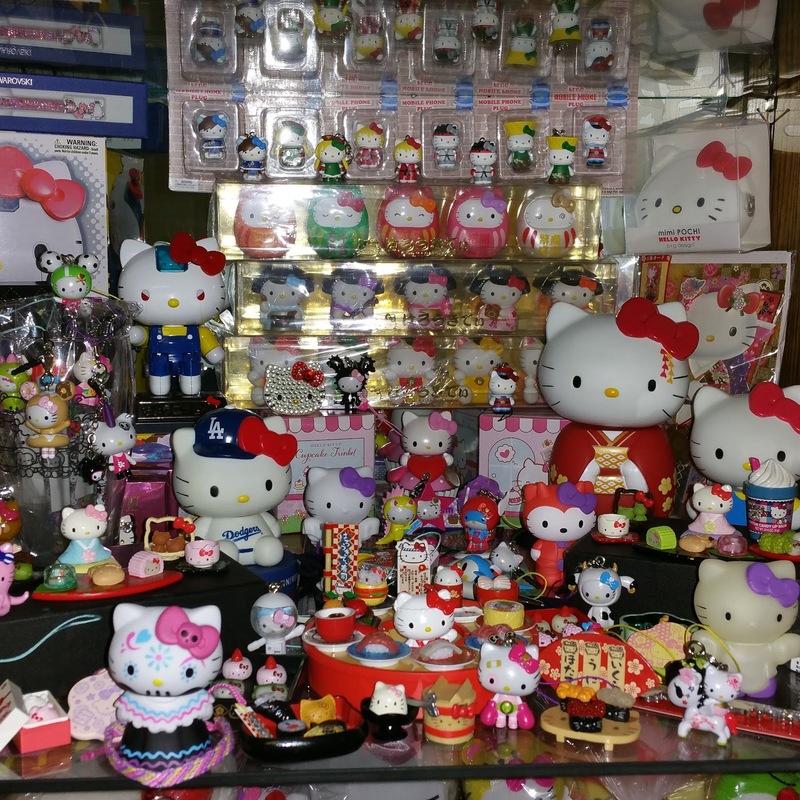 Most people love that I am a HK Collector. Usually, I make new friends that way. I hope to move up in my career, so that I can have everything I own HK themed. LOL. I will always be an HK Collector. She brings a smile to my heart. I have no time to organize my collection. It is a mess. Most of it are in bins. I do hope to display it in it's own room in the near future. That is why I submitted an old picture of a portion of my collection.